off = pid control is enabled . 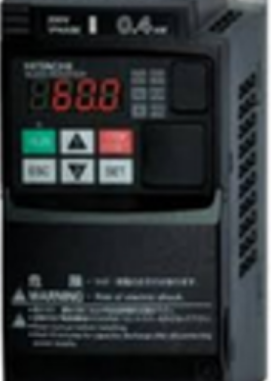 with this setting ,the multi – function input switches between pid control and normal inverter control . this function can be used to perform trial operation or jog operation with normal inverter control (open -loop control ) and then switch to pid control (closed -loop control using feedback) after adjusting . the system. the pid disable function can also be used to switch to open – loop control when there is a problem with the feedback value? on= the named constant can be input in the model of environment setting. constant inhibition / permission from keyboard can be operated from exterior . when constant permission is off , you can only change the monitored frequency in driving mode. speed command . the analog frequency command added by a certain value of frequency works as output frequency . speed command , the analog frequency command minus a certain value of frequency works as output frequency . this function is effective only when is input from analogy terminal and frequency command is used . it shall be set at the same time , otherwise ope 03 fault will occur . when the to signal is both on, the minus and plus calculation can’t be effected .when speed command is on ,and the minus calculation result is below zero , the output frequency will be zero . CLOSED OPERATE ACCORDING TO MOTOR 2.
set one of the constant amount h1-01 ~06 (multi function input ) to be 16 (motor 2 selection command ) the action will be open or closed by input signal . and the inverter interior memorized control modes /f characteristics motor constants can be changed . set one of the constant among h2-01 ~03 (multi function output )to be 1 c (motor selection monitoring ) and then multi -function output terminal can monitor the current motor selection status . please set the environment setting constant ,cancel level a1-01 to be 3 (basic ) or 4 (ADVANCED) the following constants will be replaced according to motor 2 selection ( switching) command . NOTE; following the switching of the motors, the below constants will be initialized when A1 -02 in not equal to E3 -01; b3-01 ,b3-02 ,c3-01,c3-02,c4-02,c5-01,c5-02 ,c5-03,c5-04,e1-04,e4-01,e1-05,e1-06,e4-03,e1-07,e4-04,e1-08,e4-05,1-09,e4-06,e1-10,e4-06,f1-09. please find below for the time sequence of operation when switching from motor 1 to motor 2. Hello, Neat post. There’s an issue together with your web site in web explorer, would test this… IE nonetheless is the marketplace leader and a large part of people will omit your magnificent writing due to this problem.